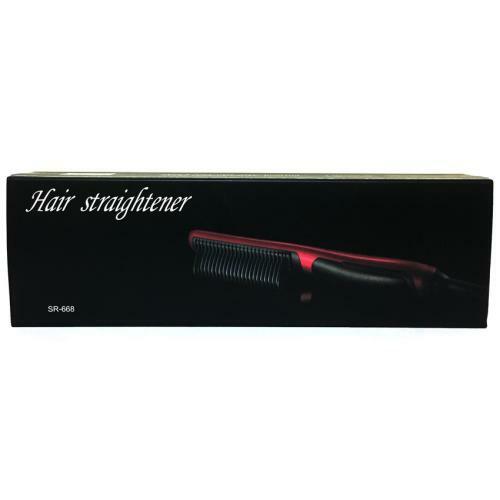 Online Shopping in Pakistan Hair Straightener Comb Style Brush with Free Home Delivery and Payment On Delivery.Hair Straightener Comb Style Brush (Product Code: SR-668) offer by DiscountMall at just ₨1490/- instead of Rs 2500/-, enjoy Fast Shipping with FREE HOME DELIVERY. Safest Ceramic Fastest Heating De-tangling Styling Anti-scald Patented Design, Gift Packaging, Get Great Styler at Home! 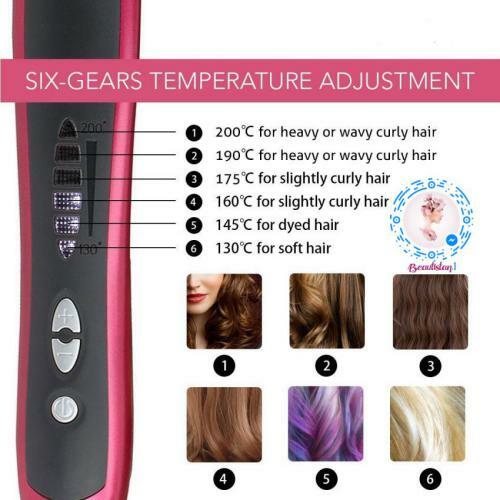 This electric hair straightening brush takes less than 60 seconds to get as hot as 365-degrees Fahrenheit and expert grade PTC ceramic heating components also help it maintain a constant, designated temperature. The result: professional effects without burning or scalding. 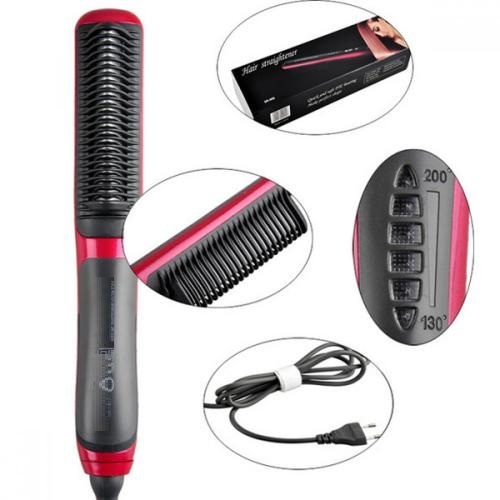 Hair styler is slim and special design with 23 ceramic heating pieces allows it to quickly make contact and heat large portions of hair at one time. Heats evenly and thoroughly to produce the most professional looking results. 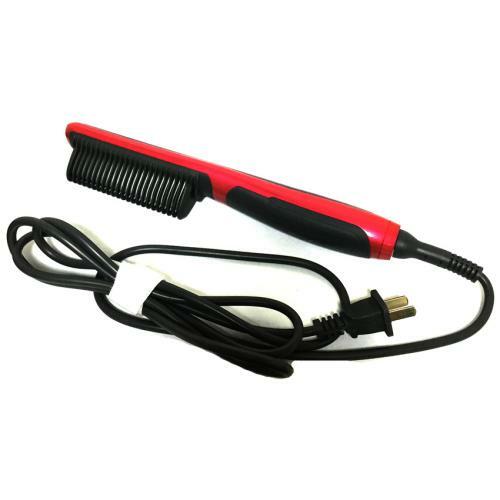 Hair straightening brush allows you to straighten hair at home at your own. High end liquid crystal display lets you control and monitor temperatures easily, and the rotating wire means you can hold the device at any angle for the best straightening results. Are you still using an old fashioned splint hair straightener? Is it difficult to maneuver, and burns hair or skin easily? The new generation of hair straightening brush makes straightening your hair as easily as combing it. It is safe, so you will not burn your hands or scalp. It is also something you can do yourself and get professional results, so you will not have to spend a lot of time and money at the salon. This hair straightening device is constructed of quality plastic materials, and features design to prevent scalding and burning. The brush surface maintains a constant temperature to stop user from burning skin or hands. 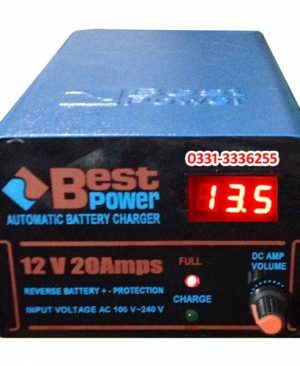 For the customers’ protection, all components are manufactured with the highest quality raw materials, so buyers can use product with confidence.